Fifty years ago my grandpa went missing. 3 June 1978----- The train that was to arrive in Bucharest was an hour late. It was dark, the skies gloomy with gathering storm clouds. The presentiment of misfortune that had accompanied me did not diminish, although much of Romania enthralled me. Perhaps it was the strangeness. My traveling companion seemed morose, but in her tight-lipped silence I sensed a dread she did not wish to share. London had been pleasant to dawdle. My brief sojourn at the Museum and Library had revealed much to explore. It thrilled me that our journey would traverse Count Dracula country. I made a mental note to carefully study the maps and encyclopedias, tracing the historical horseshoe route through the Carpathian Mountains, to deliver us to our final destination. In my mid-teens then, I had been sent to London to live with my aunt that summer. With the aplomb of youth and a maturity beyond my years, I had taken keenly to the idea of a forty-eight-hour trip east, across Europe, to receive a grandparent I scarcely knew. Twenty years ago he suddenly reappeared in a remote location in the mountains. This is my story. The circumstances I am about to narrate are true. I have revealed it to no other, except my father. I plan to reproduce here my original journal entry of the trip, with minor corrections from recall to fill the empty spaces. It is an incredulous tale. I can think of no other way to explain the horror that is to unfold. You may draw what conclusions you wish. Suffice it to say, my reluctance to reveal nothing but the bare facts brooks no further argument. copious notes of everything I encountered, even the black cat sitting on the stoop. But since it does not concern my tale, I will not explain this distraction further. Dinner was a robust affair of braised chicken and mititei, a delicious skinless sausage stuffed with garlic and spices which I found especially to my taste. 4 June----- I did not sleep well. My mind filled with dark dreams which I cannot explain. It could have been the food. It must have been my aunt's prolonged despondency which turned contagious. There was also a noisy street festival below my windows too tempting to ignore. I hastily thrust my feet into galoshes and was about to open the door, when I heard the mournful cry of a creature in distress. Ordinarily I would have dismissed the discordant note as a dog howling. But it lasted all night. Bucharest is an interesting place. But not as appealing as the town of Brasov, our next stop. Time stands still here. The trains, the buses, everything runs late. The local people do not seem to mind so it doesn't matter. What should have been a three-hour road trip took six hours. Our bus broke down twice. The third time a worn-out tire burst, stranding us. I wondered if we would ever reach our destination by nightfall, as forewarned. The soaring cliffs and crags dotted with farmhouses and sloping forests made a pretty sight against the leaden sky. The rugged sheep-tracks wound through the deep woods filled with fruit trees and clumps of flower petals. My aunt saw none of it, too distraught with each passing hour. Eventually we reached the Boar Head Inn at the close of twilight. 6 June------I missed an entry. I cannot say more. My mind is too full of the unusual occurrences of the past two days. My throat hurts. I do not think it is the seasoning of red pepper. And I have not touched the wine. We dined on bacon and onion rolled in tomatoes and smoked cheese. The innkeeper's wife, devout and well-meaning, gave me an extra serving of garlic. I was about to demur, but found I could not, when she thrust upon me an old crucifix from around her neck. My aunt gave a smothered shriek, went white as a sheet and rushed to her rooms. international tourists, to help grow the economy. I made the mistake of showing her my torn polyglot dictionary. I had found it in one of those antiquated bric a brac dusty shops which sell everything from taxidermied eagles to decaying mummy's feet. 'Oh, so you want the language of the Undead?' the storeowner had smirked, rolling his eyes greedily. 'How much?' I had inquired, uncertain what relics cost these days. 'Two hundred pounds, no less,' was the bold reply. 'I only have ten shillings,' I had bargained. My aunt has clamped up since. We are outside, awaiting a horse-carriage to take us into the mountains. The Old Folks Sanitarium is the former Taldova Abbey, disused and long empty. It lies on the outskirts of the village of Viscri, our final stop. Throughout the countryside it is known to be haunted. No roads exist on this steep uphill stretch, hence the horses. Tourists are particularly enamored of the perilous route, hopeful for a glimpse of the ghostly apparition of the Abbey's former tenant, one Dr. Kraal, who turned ghoule, it seems. He was attempting mind transference through out-of-body experiences, I overheard. I cautiously dip into my tattered dictionary for the word 'ghoul'. I vaguely remember it to mean corpse-eater. We travel by nightfall; such is the arrangement. The deepening darkness over the hills casts ghost-like lengthening shadows. Where the mists swirl, an eerie effect is produced. The blustering breezes feel bitter and chill. I tighten my scarf around my burning neck, succumbing briefly to my fancies. I have a few moments more for my journal, but I feel lethargic, since I have not been sleeping well. My clumsy movements attract my aunt's attention. She suddenly snatches my polyglot dictionary and rushes into the inn. Too astonished to cry out, I can only cling to my diary, praying this will not suffer a similar sorry fate. agitation. Tears fill my eyes but I say not a word. 'You will show respect to your grandpa after all these years.' I nod glumly, holding tight to my diary. Our private coach has arrived, drawn by four black stallions stomping impatiently. Our innkeeper and his wife, both simple folk, swiftly emerge, crossing themselves, as is the custom. 7 June----- The horses barrel at top speed to Viscri. We are heavily jolted. I fear the cab will splinter. My aunt looks unnaturally pale and ill. I put it down to motion sickness akin to a rough sea crossing. The glimpses I see of the bleakness outside are so deathly dark, it makes me assume we have lost our way. I marvel at the ability of the charging horses to see the path ahead. Their brisk gallop scarcely diminishes throughout the two hour ride. In the night's velvet blackness, I behold the Sanitarium's handsome structure looming large and imposing. As we alight, I look about me with the keenest curiosity. Not a breath of wind stirs. All seems quiet. the sight. We follow the groom inside, through a side entrance, passing large rooms, their dim interiors made of low ceilinged oak beams and faded tapestries. The furniture looks ancient. We pass many hallways and passages. With each passing step the groom appears more frightened and anxious to depart. Exhaustion overtakes me and I fall into instant slumber. How long I sleep I am unclear, but far into the night something awakens me. I look around cautiously. I hear my door slowly creak open. An apparition, someone or something, appears, lengthened in shape by the shadows the night light casts, upon an otherwise unfamiliar room. The darkness in that corner is impenetrable. I shut my eyes tight, willing it to go away. The shape does not disappear, rather starts to glide towards me. I stifle a scream, am bathed in sweat. coat of mildew-like mucus. My heart turns cold. His face is bloodless as a corpse, the putrefaction of the graves lingering upon his pallid countenance. His eyes glow fiery red. A dreadful horror seizes me at the undeniable pallor of his skin and what this might portend. I know then what I know now, that this is no living man, but a corpse long dead. The menacing red glow in his eyes cannot be quelled. It grows brighter, sucking my mind from out of me. paralysis, throwing my bedcovers aside. I feel weak and can scarcely breathe. His arms bar my way, trying to pull me to him. I feel the sharp sting in my neck where his fangs descend. A terrible struggle ensues. I wonder why my aunt and others in the Sanitarium have still not awakened or heard my screams. It confirms my worst fears, that I am indeed alone in this wretched place. There are no nurse orderlies or servants or patients. I feel the madness a rat must feel imprisoned in a trap. This bestial entity is surely not my grandpa. steeds snorting in fury, of Grandpa, eyes glowing red, leading a vampire pack, of my aunt clawing at my throat, of werewolves and dogs giving feral chase, of an army of Undead, hurtling down the mountain behind me. I do not know how I survived my precipitate departure. My journal entry stops here. I have since learnt some shepherds found me three days later, in the nick of time. I was delirious and railing at the bottom of a steep ravine. I was transported to Bucharest to be healed. I had a broken arm, a compound fracture of the foot and severe contusions of the skull, for which surgery was required. My father hastily arrived, relieved at my recovery. I will not go into what transpired between us, except to recount his tears of joy. I narrated my entire escapade to him. I never mention my aunt. I have no aunt, my father says. I tell him Grandpa must be saved with a stake through the heart. But it only leads to more argument. I explain the entire village are vourdalaks. But he replies that outbreaks of vampirism are for the Government to investigate. not true. The Undead do howl. 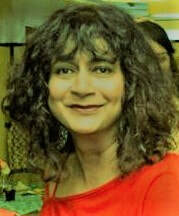 REKHA VALLIAPPAN has taught college level English Literature and Law. Her work has appeared in a long list of literary anthologies and publications both print and online. In 2016 she won the Boston Accent Lit Short Story Award. She volunteers her time with community organizations including as Editor for their souvenir journals and newsletters. She lives in New York and in her spare time enjoys singing, dancing and reading mysteries and suspense. Chila: What made you write "The Phantom Journey" & how did you master the dark feel of it? Rekha: In a nutshell editorial mandate. For the literary magazines and anthologies I submit to there were some which required gothic fiction. I jumped at it. My favorite kind I thought, werewolves and vampires, 'Carmilla', 'The Fall of The House of Usher" and even "The Hound of The Baskervilles" streaming through my brain. Ever since I was little horror, mystery, suspense were always what I enjoyed the most. I thrilled to hear ghost stories told. My mother was a marvelous storyteller of folkloric horror. She breathed atmosphere into a tale. I tried to replicate that build-up within the denser confines of short story narrative. And then there was Poe, Bloch, Shelley, du Maurier, Victoria Holt, Bram Stoker to name a few, the most extraordinary teachers of elegant prose I ever could have hoped to read for stylistic forebodings. 'The Phantom Journey' threw me right back to my early teenage years and my very first short fiction to win an award 'The Invisible Hands' where a young girl journeys to a haunted dilapidated shack. Both journeys lead to dark places. Coupled with a news item I had recently come across of a grand-mother who had been found after missing for thirty years, the makings of my story had begun to take shape. Chila: Tell us something you've learned about the writing process, a useful tidbit. Rekha: That it is work - hard work, which requires as much discipline as any other profession. That it is highly challenging which one must be prepared to accept. That a daily writing schedule is one of the most effective ways of meeting one's writing goals for content and construction to be staked out, for plot and theme to be developed, for language to be explored, depending on one's level of commitment to the craft. In due course I even learnt to habitually carry a small scrapbook for those remote jottings that can occur any time, any place, any where. Chila: Tell us about your upbringing. Rekha: Reading and writing was second nature to me. I was fortunate to have grown up in a home that placed a premium on books.The schools I attended had reasonably well-stocked libraries. Given a story book, I could happily curl up in a corner and literally get swallowed whole, a preoccupation I share to this day. My siblings were the earliest enthusiastic readers of my childhood stories. Books I devoured were mostly by British authors which was rampant in the India I grew up in, although my love of reading would take me far and wide from folk and fairy tales to mythological epics, from mysteries to thrillers, from English prose classics to works of European and American literary writers. They helped feed my study of French and German as second languages at university. Given the opportunity, it would naturally follow that I would enroll in a study of English Literature and make it my main pursuit, feeding my passion to write. Rekha: Whatever my literary influences are, a story that will grow out of the sum of all parts that I am currently working with, something of a 'City of the Beasts' meets 'The Handmaid's Tale' meets 'The Da Vinci Code' in the language and depth of Yann Martell and the story-telling energy of Agatha Christie. Although I primarily write speculative fiction, my output has been multi-genre. There should be history, surrealism, anthropology, ancient texts, scifi, fantasy, horror, humor, satire, mystery and suspense, all of the ingredients I crave for in a book the most. What I like to read would be what I would like to write more than anything.